Tonight I was wondering what was Android market share in Asia. It is 31% according to a recent study from Ericsson’s ConsumerLab group (reported by TechRepublic). 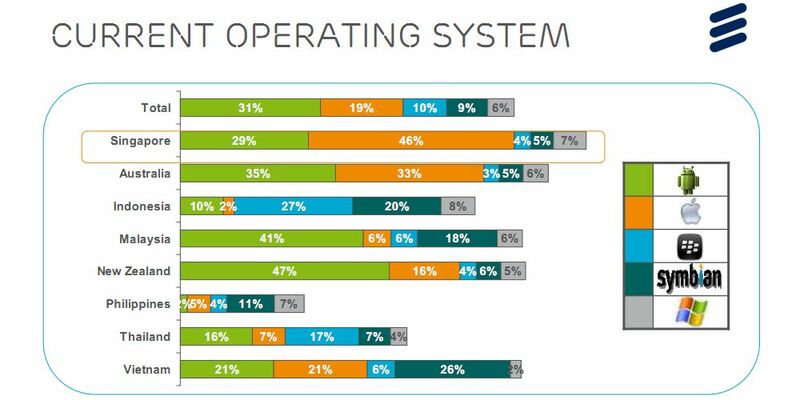 Although dominant through most studied countries, Android is not dominant in Singapore (iOS has 46%), in Indonesia (RIM has 29%) nor in Vietnam (Symbian has 26%). 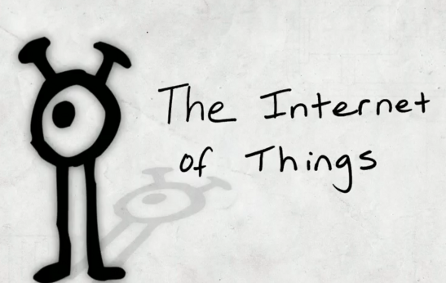 Although the definition isn’t still very precise, Wikipedia defines the Internet of Things as “uniquely identifiable objects (things) and their virtual representations in an Internet-like structure”. The basic underlying goal is that by communicating between themselves and with interfaces in the human worlds, things would be able to help up improve our lives, health and well-being in general. As I previously wrote before, I’m 100% for this idea. I was thus happy to have a look at contestants in Postcapes’ Internet of Things Awards 2011. In this competition you have several categories like consumer products, networked art, entreprise implementation, self tracking products ; but I was also very pleased to see they included wilder categories like DIY projects, open source projects and environmental implementation. The inclusion of such diverse categories with a huge diversity of projects also shows that people (human beings) are still searching, discovering and defining what is and what will be the Internet of Things. At the most literal level, projects shown contain objects (things) connected to the internet/web and sending their status or responding to simple commands (a kind of home automation connected to the internet): BIKN tags, the Little Printer, Botanicalls, Twine, and all kinds of remote sensors to keep track of a fleet of vending machines, trucks, pallets, packages, etc. In my opinion, I categorize these projects as “a network of things for itself”: these things are created for themselves and can survive within their own world; they add data to the real world but this data still need to be processed to form information and to be relevant enough to create additional knowledge. Don’t get me wrong, I know the field is still in its early infancy. 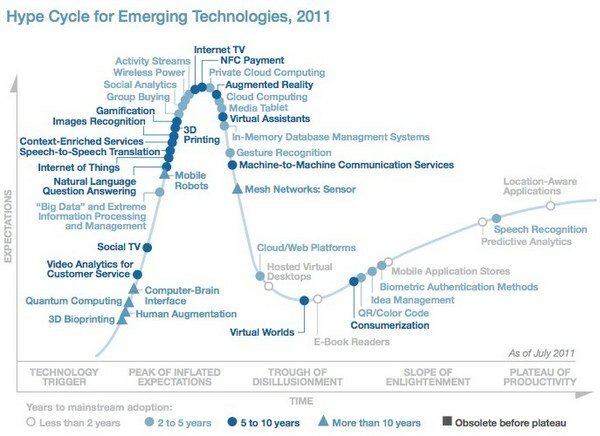 In its Hype Cycle for Emerging Technologies of 2011, Gartner locates the Internet of Things on the increasing side of the expectation curve and gives it 5 to 10 years to be adopted globally. The fact DIY projects and prototyping/hobby boards like the Arduino are present in the contestant list also show that. These are first-generation products, lots of customization are needed as well as refinement of their uses. But early adopters are already investigating the field. And this diversity of directions is really good to explore all possibilities the connectivity of objects would allow. This phase of early development also means that practical projects are currently targeting improvement of the occidental life style and sometimes tackle issues related to increased wealth and development (like the Nike+, the Jawbone UP, the Zeo sleep manager for sedentary and stressful lives). Some projects are even targeting the increasing isolation of people in occidental worlds not really by increasing their interaction with each other thru technology but by making them happy being alone. Watch for instance the following video (from Ericsson in category design fiction)! In general, very few of these projects are aiming to help the remaining 5 billion people who are not affected by that internet of things as it currently is. The only project in this contest that could help less wealthy people is the SolarSinter project (also in category design fiction). Here, Markus Kayser uses sunlight and sand as raw energy and material to produce glass objects using a 3D printing process. He tested his device in the Egyptian desert where sunlight and sand are abundant. This could be used as small manufacturing devices to satisfy local needs when they occur. In addition to the purpose of these devices, there is also the question of the infrastructure needed behind. 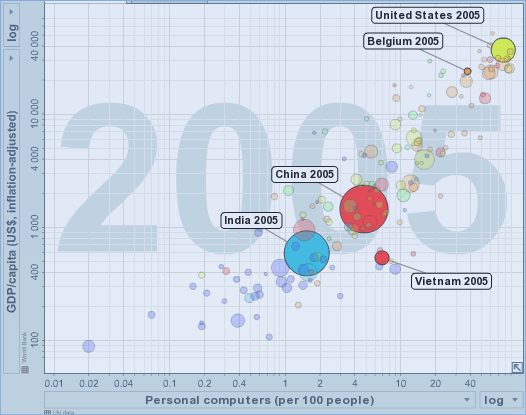 For instance, Vietnam is very well equipped and connected (relative to its standard of living). But we didn’t mentioned that some infrastructure are still switched on manually, like this public light bulb in the picture below. 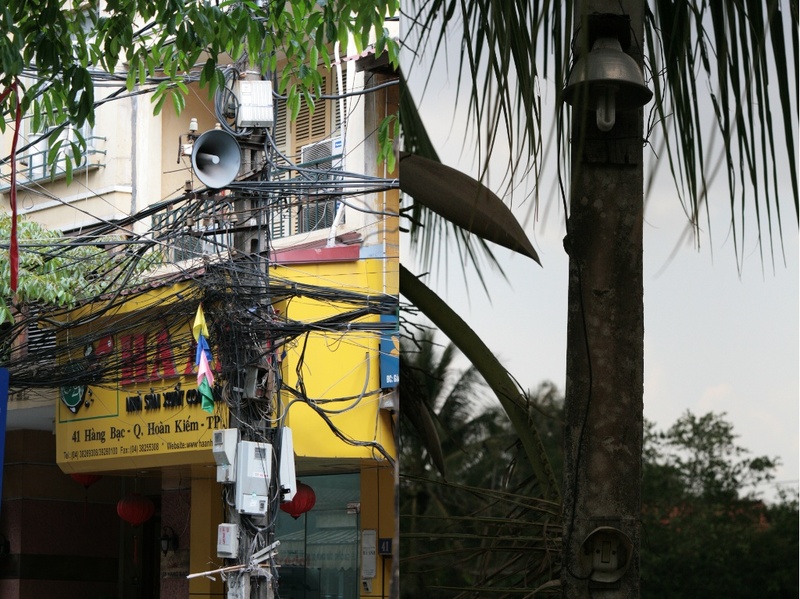 Electricity in Vietnam: very well connected (left) but some infrastructure still needs manual intervention to be switched on (right). 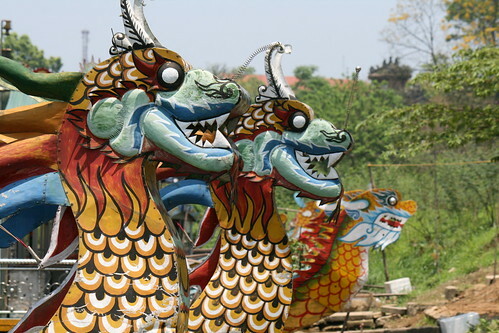 Photo credit: The Internet of Things by IBMSocialMedia on YouTube for the two first pictures and myself on Flickr for the pictures of Vietnam. … And what about both wars against Irak?